The fourth edition of Chemistry (Blackman et al.) continues the substantial commitment of Wiley to Chemistry Education in Australia and New Zealand by providing the appropriate mix of organic, inorganic and physical chemistry to the typical local chemistry course. Available as a full-colour printed textbook with an interactive eBook code, this title enables every student to master concepts and succeed in assessment. Lecturers are supported with an extensive and easy-to-use teaching and learning package. 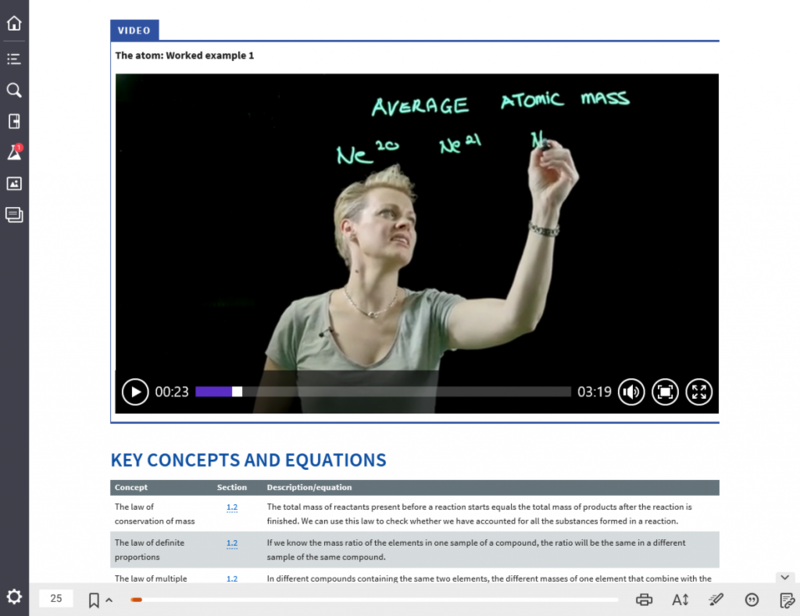 Lightboard videos of worked problems from trusted educators engage students in a meaningful way while breaking down more challenging concepts into bite-sized chunks. 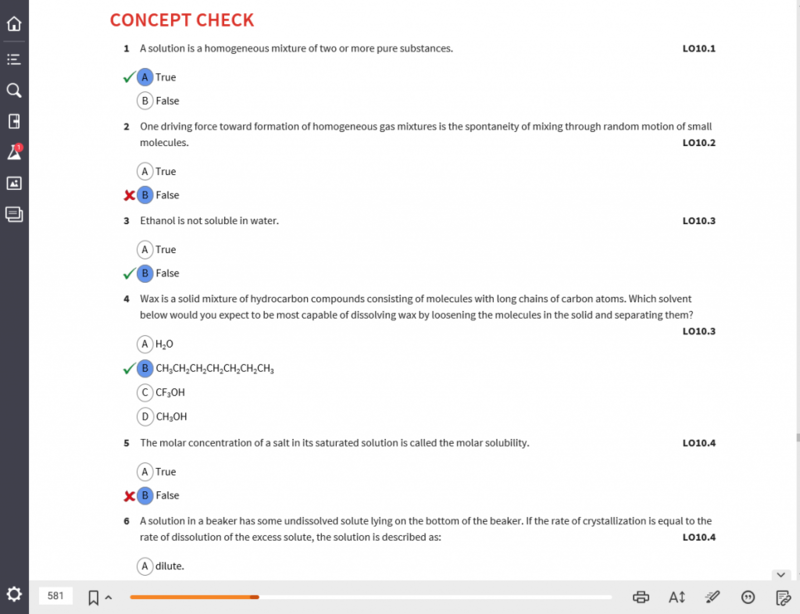 Concept reviews, interactive worked examples, visualisations, and knowledge check questions in-situ allow students to review, practice and apply what they have learned. 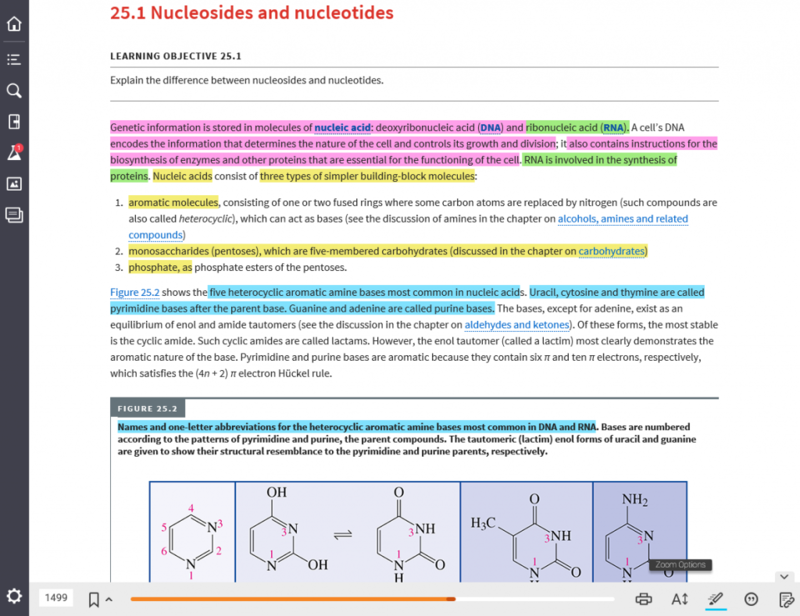 Topics are broken down into digestible chapters that help ease students into the content. Allan Blackman is a Professor at the Auckland University of Technology in Auckland, New Zealand. He obtained his BSc(Hons) and PhD degrees from the University of Otago, New Zealand. He has taught all levels of undergraduate chemistry, in the areas of inorganic and physical chemistry, for over 24 years. Allan’s research interests lie mainly in the field of coordination chemistry, where he studies the synthesis, structure and reactivity of coordination complexes. Steven Bottle is a graduate of the University of Queensland where he completed Honours in Organic Chemistry. After working in various jobs in the pharmaceutical and mining industries, he subsequently undertook a PhD at Griffith University in collaboration with the CSIRO. Steven has led much of the modern research on discovering new forms of nitroxide free radicals and applying them in a range of contexts, including as medicinally active compounds, detectors of free radical damage in materials and monitors of particulate pollution that impacts on human health. Siegbert Schmid obtained his PhD and completed a Habilitation at the University of T¨ubingen, Germany, and subsequently accepted a position at the School of Chemistry of the University of Sydney. His research interests lie in the synthesis and structural characterisation of aperiodic and other materials with potential technological applications (e.g. electrode materials for rechargeable batteries). Professor Mauro Mocerino has enjoyed teaching chemistry at Curtin University for over two decades. During this time he has sought to better understand how students learn chemistry and what can be done to improve their learning. This has developed into a significant component of his research efforts. Mauro’s other research interests are in the design and synthesis of molecules for specific intermolecular interactions including drug–protein interactions, host–guest interactions, crystal growth modification and corrosion inhibition. Uta Wille is a member of the School of Chemistry at the University of Melbourne. She has studied chemistry at the University of Kiel in Germany, where she graduated with a PhD in physical chemistry and afterwards completed a Habilitation in organic chemistry. Her research interests lie in the area of physical organic chemistry, environmental free radicals and reaction mechanisms, and she is particularly interested in how environmental radical and non-radical oxidants damage biological and manufactured materials exposed to the atmosphere. 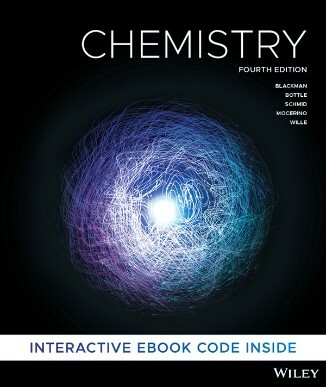 Students can purchase their Chemistry, 4th Edition (Blackman et al.) 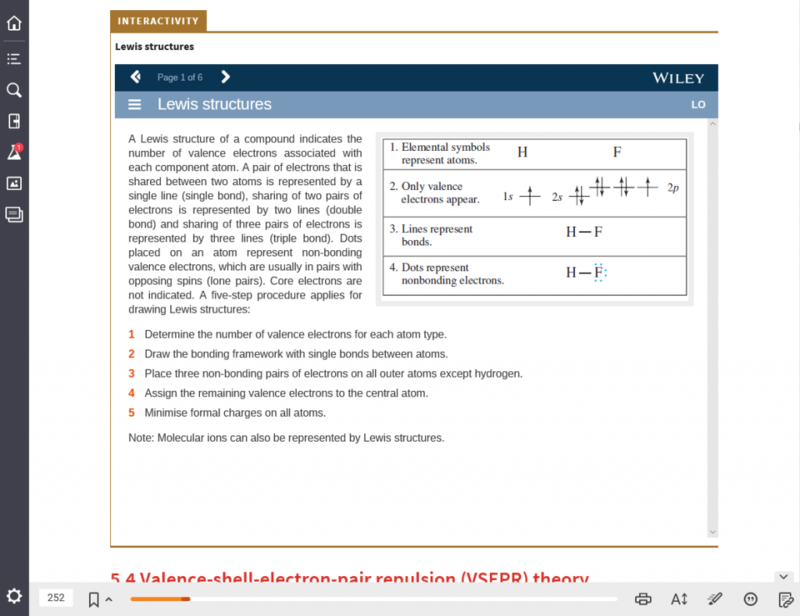 textbook from Wiley Direct.